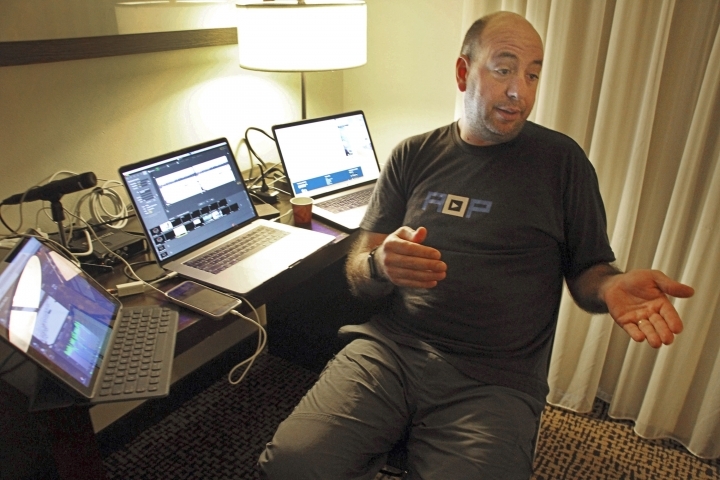 ANCHORAGE, Alaska — Far from competitors tackling the frozen wilderness in Alaska's Iditarod Trail Sled Dog Race, a dozen people are holed up inside an Anchorage hotel behind banks of computers, tracking the punishing route and connecting with global fans seeking a real-time link to the off-the-grid sport. 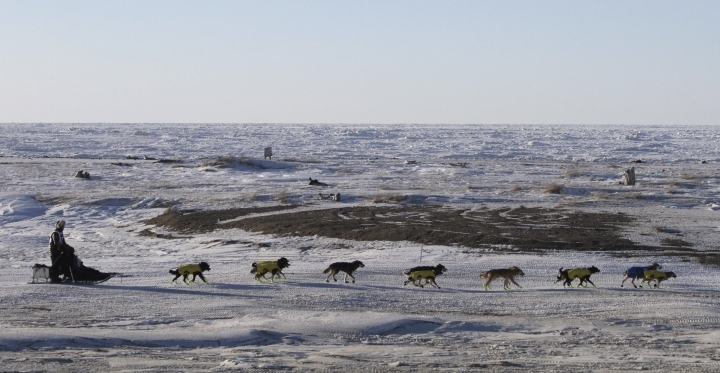 As of Friday, 51 mushers are traveling long stretches between remote village checkpoints with no other company but the dogs pulling their sleds. 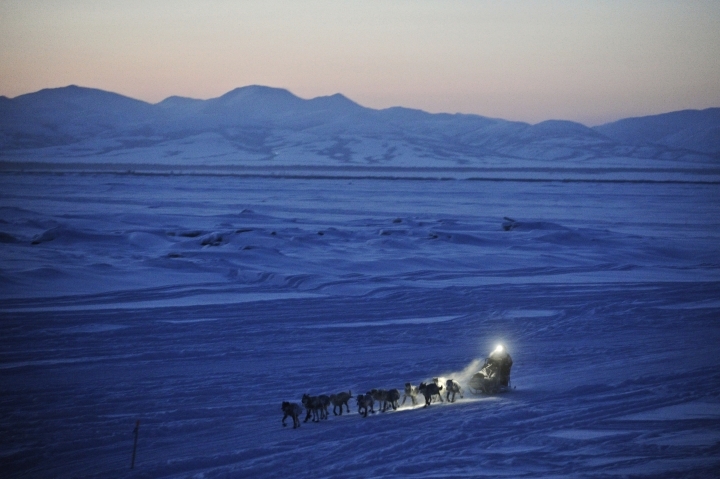 But they're not competing in a vacuum on the 1,000-mile (1,600-kilometer) trail that spans two mountain ranges and the frozen Yukon River before it heads up the wind-scrubbed Bering Sea Coast to the finish line in the Gold Rush town of Nome. 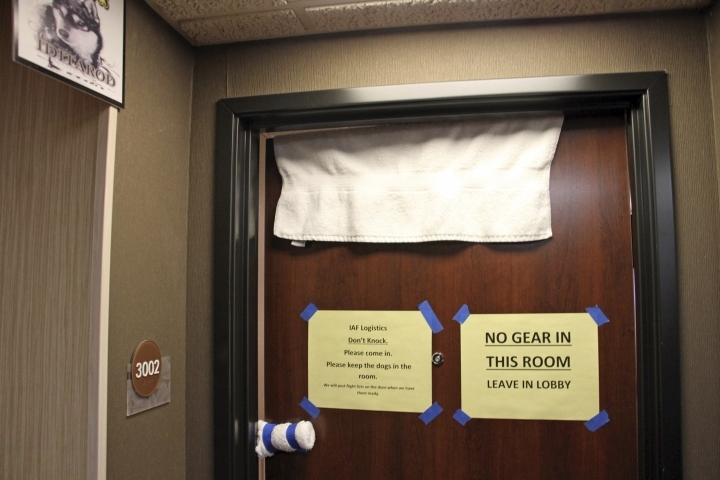 Their progress is monitored from several hotel rooms whose 24/7 occupants are the Iditarod's electronic eyes and ears. 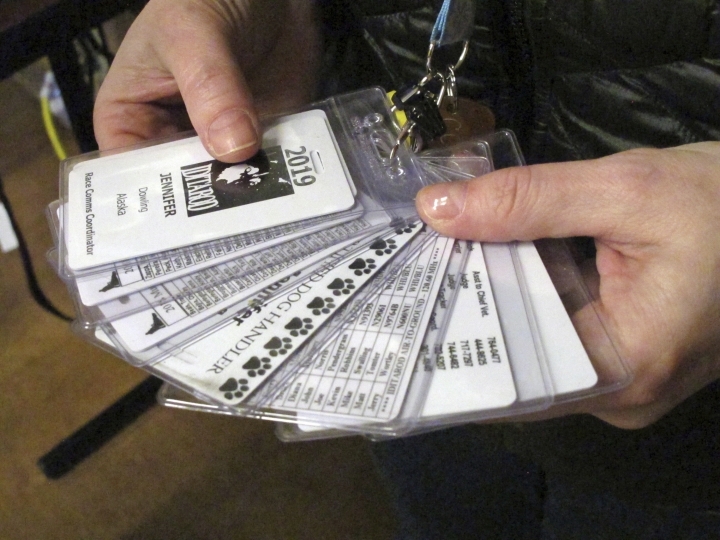 Technology has increasingly made the 47-year-old race more immediate to fans and safer for competitors, said Chas St. George, acting CEO of the Iditarod Trail Committee, the race's governing board. 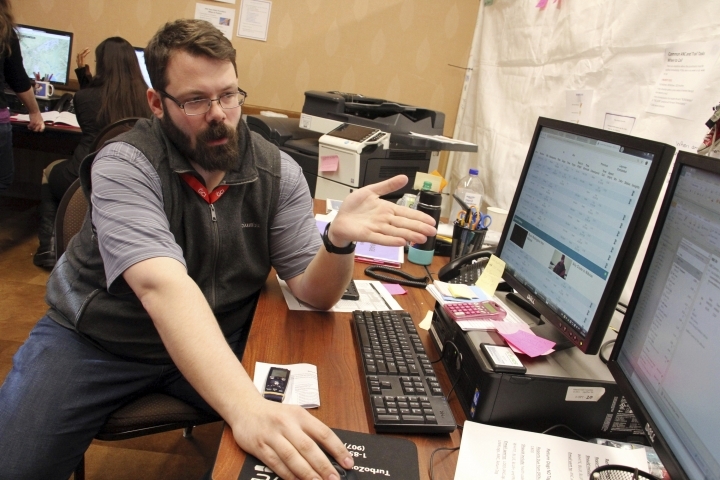 "This is a really low-tech event when you look at it from that perspective, but high-tech research has always been a huge part of the race," he said Wednesday during a tour of the Iditarod's hotel command post. Long gone are the days where some race updates came through amateur radio and faxes, said Reece Roberts, a supervisor in the internal communications room who has been a race volunteer for 14 years. "Now we use satellite phones and we have satellite modems essentially for data transfers," he said. "It's very slow, but it works." In one room, Art Aldrich worked Wednesday in relative darkness, his face illuminated by his computer screen. 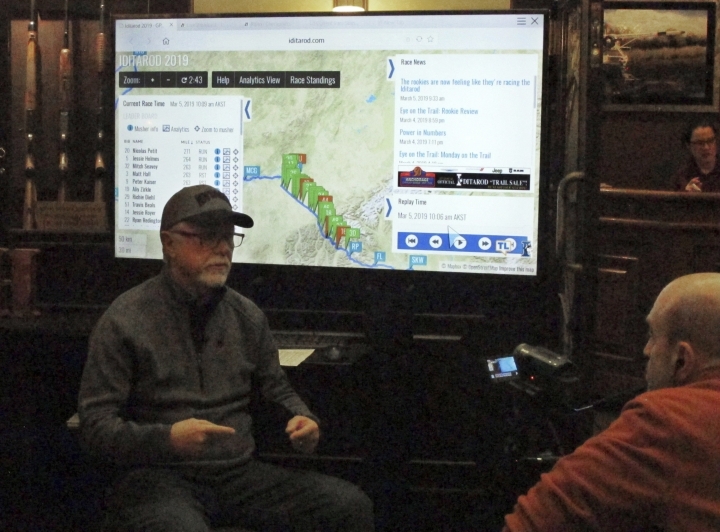 He monitored a live video of two Iditarod pundits at the Nikolai checkpoint, 687 miles (1,100 kilometers) from the finish line on the race's third day. 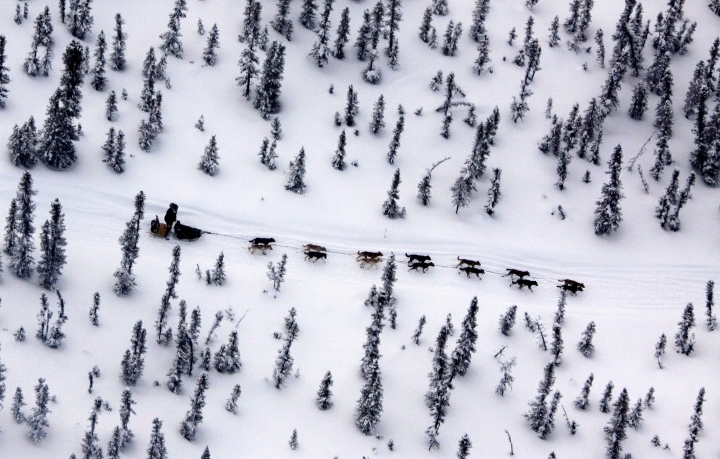 Veteran musher Matt Failor appeared on the feed in real time. 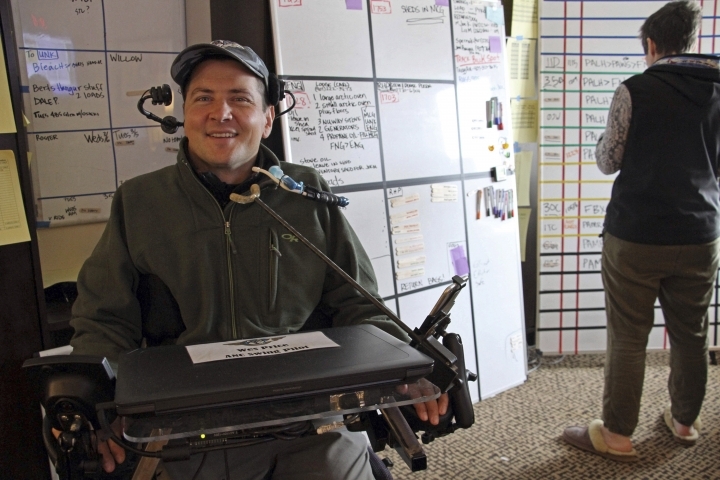 "Ladies and gentlemen, Matt Failor — live from Nikolai," Iditarod Insider interviewer Greg Heister announced, asking how the race was going for him. "So far, so good," Failor said, grinning. "Are we really live right now?" He waved at the camera. Aldrich also relays questions from live video chats to camera operators in the field. He said it's not the most sophisticated system, but it gets the job done. "The fans love it," he said. 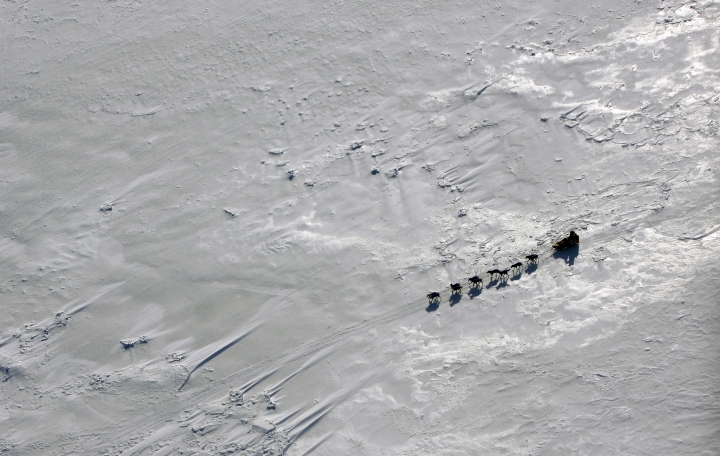 The live chats, which are posted in the paid subscription platform Iditarod Insider, have attracted an online community from at least 164 countries, according to Mike Vann in the technology war-room. "It's pretty amazing when we start interacting with them to see where people are joining us from," he said. This year, race organizers introduced Gia, a digital sled dog mascot with a squeaky voice that fans can chat with through Facebook messenger. Before the race, the cartoon dog even helped organizers recruit donations of straw used for dog beds at the checkpoints, Iditarod officials said. 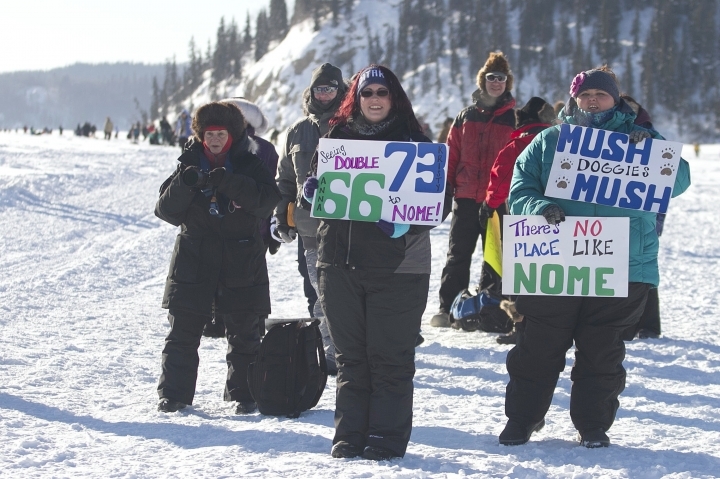 Veteran musher Scott Janssen is sitting out the race, but like other fans, is following the action through the GPS-rigged sleds required of every participant. As a competitor, he sees the benefits of GPS tracking and the satellite phones that mushers can now carry for emergencies. Such technological additions make him feel safer — to a point. "But to be honest, I would say conservatively that 90 percent of mushers would prefer that we had nothing at all on our sleds," Janssen said, adding that the technology eliminates the remote aspect of the race. "It takes some of the toughness away from it. And that's why we're doing that race, is to prove we can do this on our own, completely." This story has been corrected to show that the quote from the Iditarod interviewer was misattributed.